At Last! 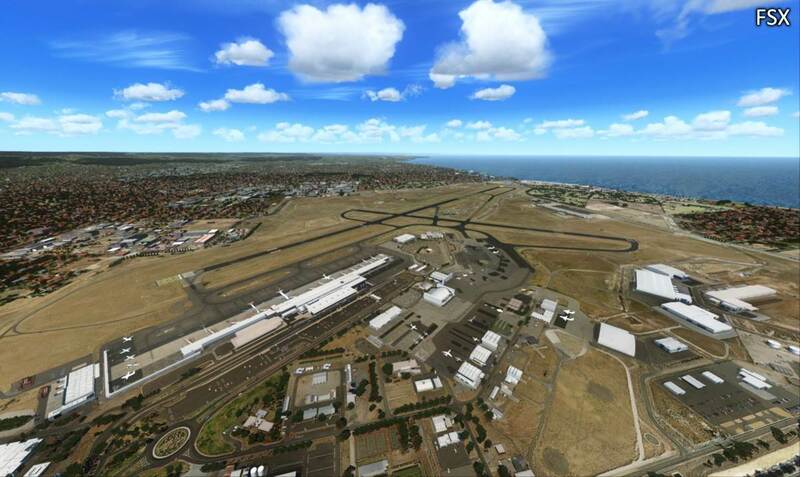 A scenery expansion package for Adelaide International Airport in South Australia (ICAO Code: YPAD) is available right now for Flight Simulator X pilots. 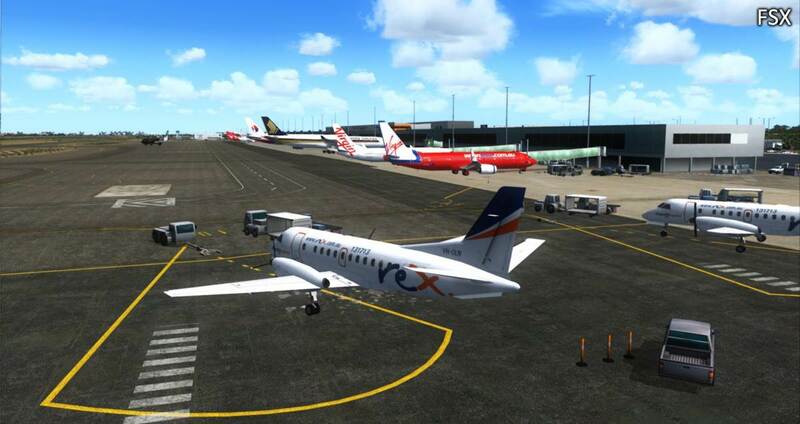 One of the best selling Australian airport sceneries of all time. 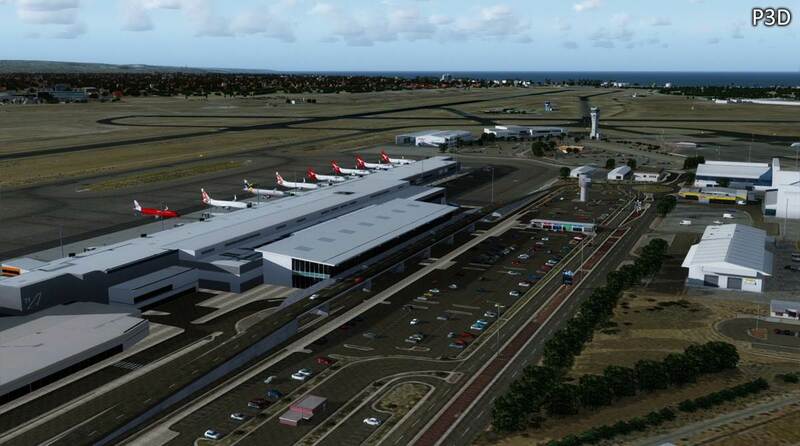 * Existing owners of any previous version of Adelaide International X (v1.0 to v1.2) can upgrade free of charge to v2.0 - Simply redownload the package from your original download link supplied to obtain the latest version. New customers will automatically receive the latest version when downloading. 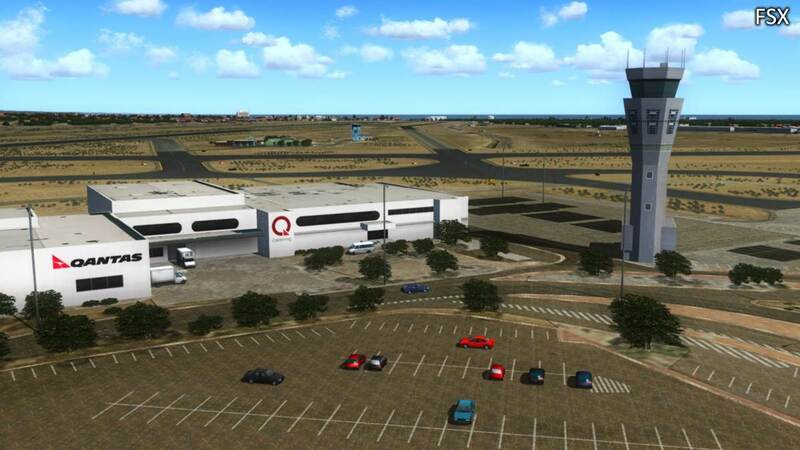 Capable of handling large heavy jets, this International airport in the capital city of South Australia is perfect for your PMDG 737 NGX, your Dash 8 Q400, your 747s and 777 heavy jets. And of course, you can fly into Adelaide with your lighter jets if you wish to do so as well. The foundation of the scenery is a high quality 30cm aerial photo, from which we have developed a custom ground layer over the top combined with unique night lighting effects. 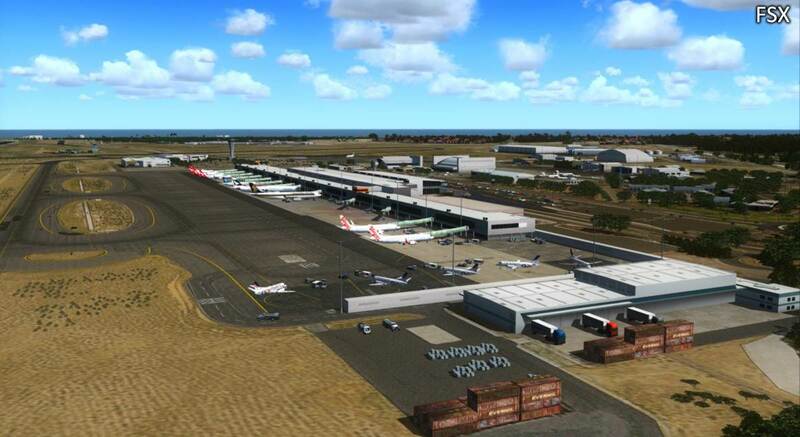 Have fun exploring this amazing airport, we have added many features so you’ll be discovering new things for a long time to come. Below are just some of the many features you will discover. 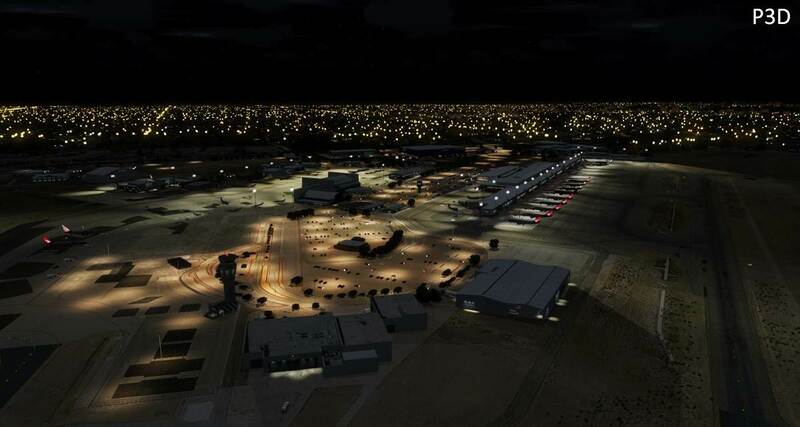 Custom and Realistic night lighting - even the light from the terminal windows throws out onto the apron! 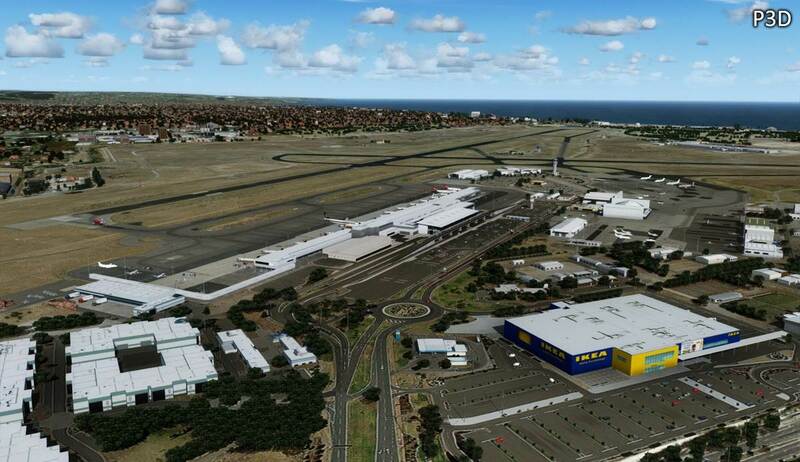 Accurate placement of buildings and vegetation within the airport grounds - Designed for a good balance between detail and performance. 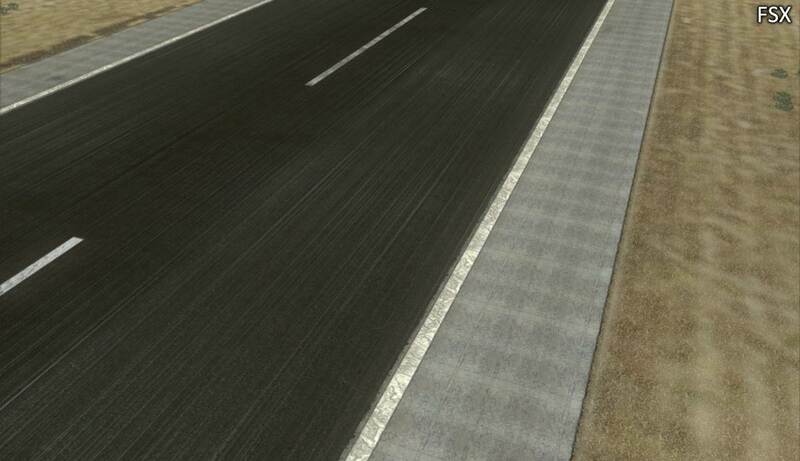 Option to add even more detail to the airport if your PC can handle it! 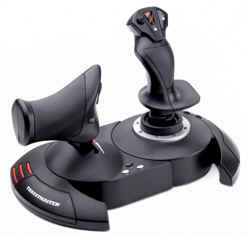 Simple, easy to use installer requires just a few mouse clicks and you are ready to fly! 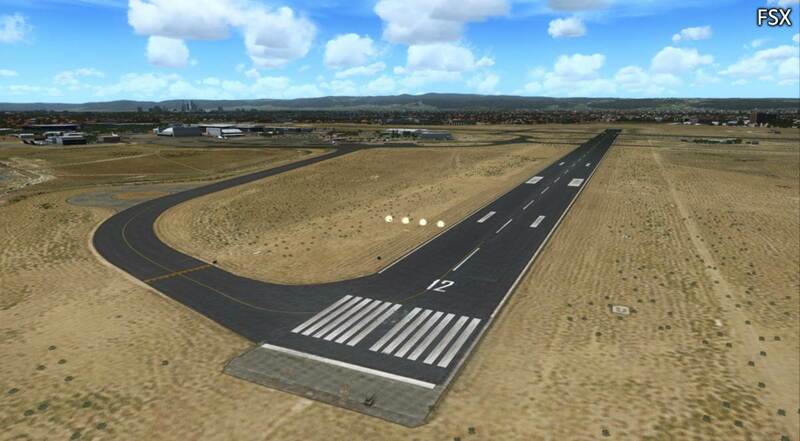 Adelaide X scenery is compatible with FSX default scenery, as well as FTX Australia region scenery. PDF User Guide is included for reference, and includes airport information as well as a brief history of the airport. Don't let this chance to fly and operate from an upgraded Adelaide International airport pass you by! Order now and fly between major Australian hubs with enhanced scenery on the Adelaide side. 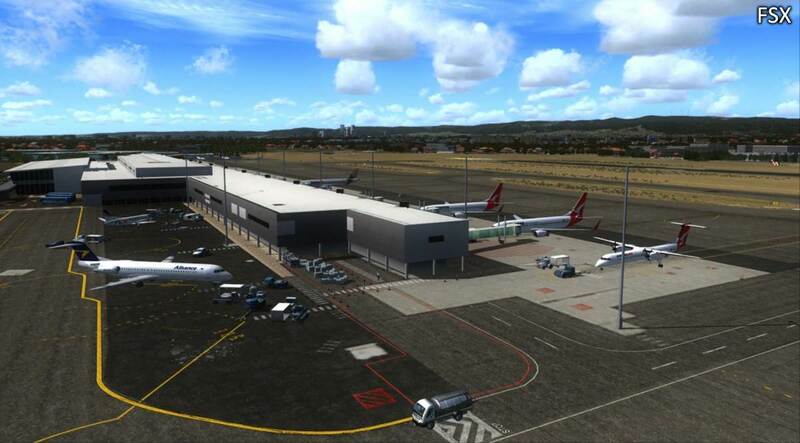 Please note: The jetways in this scenery are not active and do not move like default FSX jetways do. Please be aware of this prior to purchasing if this feature is of importance to you. Would you prefer a disk copy instead? Don't like to download? No problem! We understand. 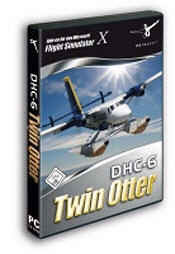 That is why at PC Aviator Australia, we have the world's best and cheapest disk backup system. We can master you a copy of this download product onto a DVD disk, label print it, and mail it to you anywhere in the world for just $5.95 extra. So if you require a hard copy for ease of acquisition or installation, or just wish to have a backup copy on hand for later use, order the backup DVD option from the "Delivery Options" menu below and we will get your disk copy in the mail and on the way to you. This product is sold for private, individual use only. Commercial Licensing: If you require commercial licensing of this scenery product for public, educational or non-private use, please contact us for information.